It gives me utmost pleasure welcoming you to this epoch-making two-in-one event as captured. The opportunity of offering this address is both delightful and inspiring. Few days back, it was not in our cards as to where the Call for Submission of poems would be made. This is a testament of God’s hands in all we do. Accordingly, let me use this medium in wishing everyone here present and the larger membership of PIN a happy new year full of joy and vibes of creativity for boundless creative exploits. The suddenness of the idea of coming to Ijaye Ojokoro was pleasantly welcomed. Deployment towards its realization wasn’t debated because it perfectly aligns with a key objective of PIN which is, taking poetry to the neighbourhoods of our country. Also, and importantly, it is in honour of Funke Awodiya, a pioneer member and Trustee of PIN. If one’s location is used as a yardstick in appraising who gets what in PIN, she certainly deserves accolades in quantum. As you may be aware, we are at the fringes of Lagos – a shouting distance from Ogun state. Interestingly, this had never affected Funke’s punctuality to PIN activities irrespective of where hosted (within or outside Lagos). Although there would be a more appropriate time to give a citation on Funke the Farmer’s Daughter or any other member, I want to on behalf of PIN appreciate and commend her efforts in driving the PIN initiative since inception in 2015. Similarly, I thank her mum and family members who have always been supportive of her efforts in this respect. Although she would formally welcome us to her domain, let me on her behalf welcome you preliminarily to Ijaye Ojokoro – a place I first visited during the launch of The Farmer’s Daughter a book of poetry written by Funke Awodiya. Our sincere thanks once again go to Funke for volunteering to host us whilst committing to having a Connect Centre at the Ijaye Ojokoro axis. 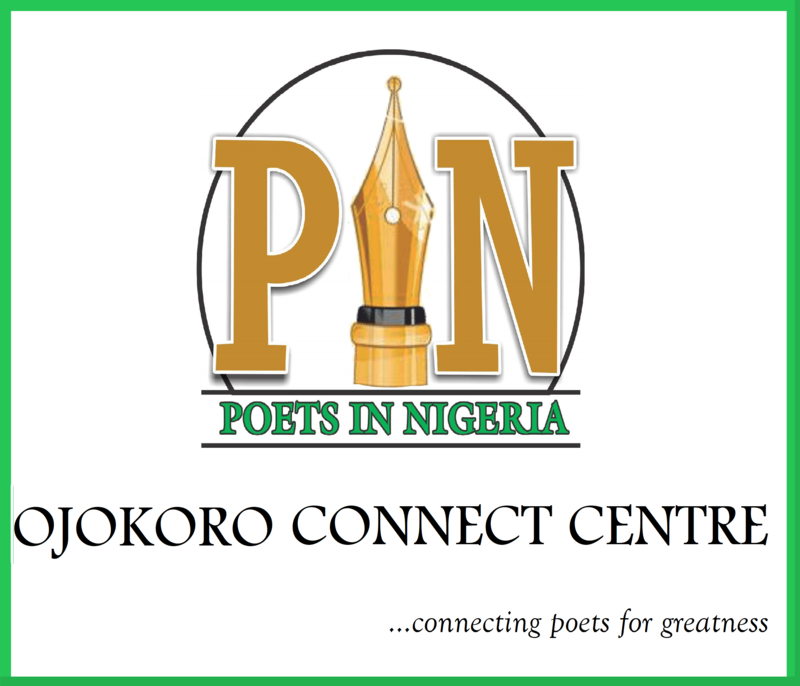 Poets in Nigeria is an initiative of Initiatives envisioning “to be Nigeria’s foremost literary hub driven by poetry’’. 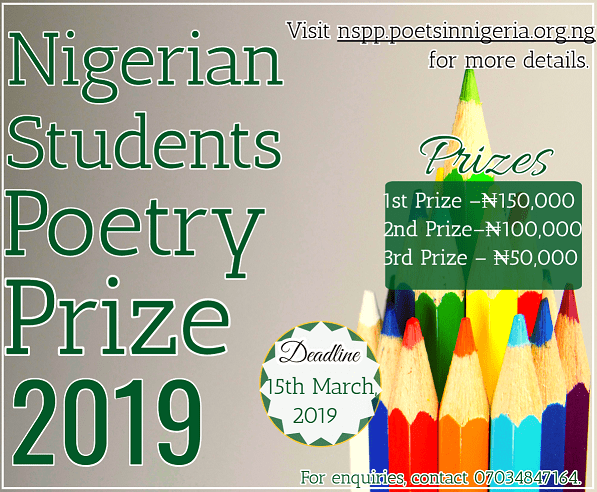 Her Mission is to ‘‘provide an easily accessible literary platform dedicated to poetry and poets in Nigeria towards enhancing the culture of reading, writing and performance of poetry and connecting poets for greatness.’’ A premium initiative of PIN is The Nigerian Students Poetry Prize (NSPP) birthed in 2016 to promote the concept of intellectualism and discipline via the craft of poetry. Its history, activities and way forward would be delivered in a moment by the Executive Secretary, PIN Mr. Kolade Olanrewaju who has been moderating the Prize since inception. 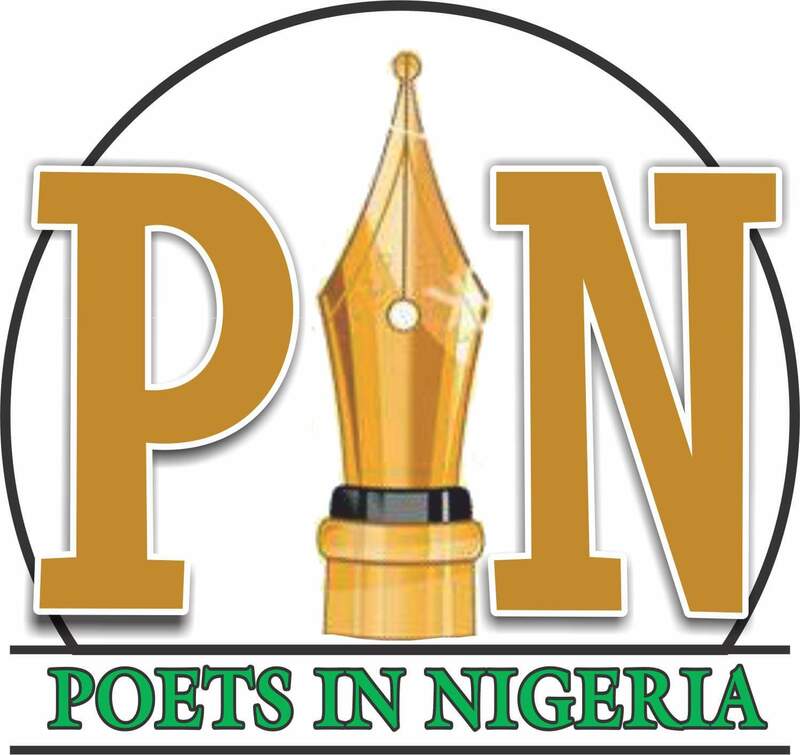 As a non-governmental, non-profit literary initiative established to stimulate interests for poetry writing, reading and performances across Nigeria, the internal workings of PIN are routinely strengthened to serve as a credible ONE-STOP vanguard driving the Renaissance of poetry in Nigeria. PIN Central Network could be likened to the headquarters of any organization. This include; Members of Board of Trustees – (BOT) inclusive of President and Executive Secretary and key pioneer members who have been with PIN since inception. However, as a growing organization, we keep experimenting at several fronts to ensure that members are routinely motivated to give their best guided by the philosophy of poetry for service. Against this background, lead reps, co-reps as well as any member could double as part of the Central network from time to time based on assignments/tasks being handled. The overall purpose is to give a credible face to poets and poetry. Today, the Ijaye Ojokoro Connect Centre is joining the league of PIN Connect Centres situated throughout the country viz: Abakaliki (Ebonyi), Obalende, Yaba, Isheri, LASU (Lagos), UNICAL, CRUTECH, Calabar (Cross River), Gombe (Gombe), Kano (Kano), Makurdi (Benue), UI, Ibadan (Oyo), Warri (Delta), Jos, (Plateau) and Awka (Anambra). New centres to be inaugurated in few weeks are, Onitsha (Anambra), Potiskum (Yobe) and VON Estate, Lugbe, Abuja, FCT. We are mindful of having committed Lead Reps man the connect centres otherwise the number of connect centre would have gone up. Disseminating the message of poetry and what poetry could do for us as individuals, groups/communities isn’t anyone’s task. It is a position of selfless leadership for the promotion of creativity. PIN is dedicating year 2019 to the promotion of poetry reading, writing and performance in Secondary and Primary schools. Connect centres are therefore encouraged to draw up programmes tailored in this direction. All activities should be well documented for records. For sense of direction and order, a banner in this regard would be formally unveiled but respective connect centres are required to design their banners. Like NSPP, The Arthub, Lagos is an initiative of PIN and a platform for the promotion of all forms of art established since 2015. Poised to position it as a brand of pride, we are constituting an Arthub 2019 Committee to be chaired by Mrs. Shola Phebian Adekunle the Curator, House of Phoebe/Lead Rep PIN Isheri-Igando Connect Centre. Other members of the Committee are Funke Awodiya, Favor Agom, McNaevets Chibuzor, Abdul Phebian Joseph, Melody Williams and Alonge Temilade Dorcas. Additional members could be coopted by the Chairman. Currently, we have a brochure containing the History, Vision, Mission, Aims and Objectives of PIN due for update/editing and printed as an approved PIN’s handbook. A committee to handle this will be chaired by Barr. Ebi Robert, Lead Rep. PIN Yenagoa Connect Centre, Bayelsa State. He would be assisted by Najib Adamu Usman (Lead Rep, PIN Gombe) and Shamsiyya Muhammad Bashir (PIN CC Jos). The Committee is expected to forward their submissions to the Executive Secretary PIN for approval and production to be called PIN Handbook to be presented during the NSPP event in Niger Delta University, Wilberforce Island, Bayelsa State. Taking a cue from renown organizations like Rotary International, PIN shall be producing the first edition of her song book to be called PIN Song Book by March 2019. A PIN Song Book committee is hereby constituted with Chisom Udeoba (Lead Rep, PIN Awka) as Chairman. Other members of the Committee shall include Favour Agom, Maryam Gatawa (Co-Rep, PIN Kano) and Clementina Owumi (Solutionist). An annual PIN awards ceremony comes up at Niger Delta University, Wilberforce Island, Bayelsa during the Nigerian Students Poetry Prize event. Chair of PIN Awards Ceremony is Mrs Chinemerem Anyi, a BOT member with track record of undiluted commitment to PIN. She is required to make available a list of awards and beneficiaries by March, 2019. While urging everyone mentioned to serve in various committees, Committee chairs are mandated to co-opt additional members adjudged as capable of adding value to delivering on the tasks ahead. It is my prayer that our dear nation survives whatever electoral hiccups that may be associated with the 2019 elections for a stronger and more united country conducive to creativity. PIN would be celebrating food poetry and poets behind the poems at a ticketed event planned for April, 2019 at the Virgin Rose Resorts Hotel, Victoria Island, Lagos. As usual we would be happy having all of us here present and others who would be joining us in making a huge statement for food and culture using the craft of poetry. As mentioned earlier in this address, PIN Connect Centres are resource centres of information on poetry, its promotion and deployment for worthy causes. The idea of Ijaye Ojokoro Connect Centre was muted by Funke Awodiya and as luck would have it, she is making history as the first PIN member to host members in this manner. Subsequently, she would be invited to speak to us about PIN Ijaye Ojokoro Connect Centre and what the future holds for the centre and PIN in this axis. Inauguration of Ijaye Ojokoro Connect Centre is the first major achievement for Poets in Nigeria this year. In appreciating you for coming, I want to encourage you to please look forward to being invited again. While Awodiya Funke and others sacrifice resident in this axis attend literary events anywhere in Lagos, it behooves us to reciprocate by coming here and any other community PIN may be meeting – that’s the selfless spirit we preach by our craft and deeds. Special thanks to members of the media. We cherish our continued harmonious relationship for the enhancement of our collective efforts towards impacting our respective communities via poetry. I hereby invite Funke Awodiya our host to speak to us on PIN Ijaye Ojokoro Connect Centre.